In the photos below you can see a number of things. The cooler has a big copper base, all critical VRM segments have been thermally padded. 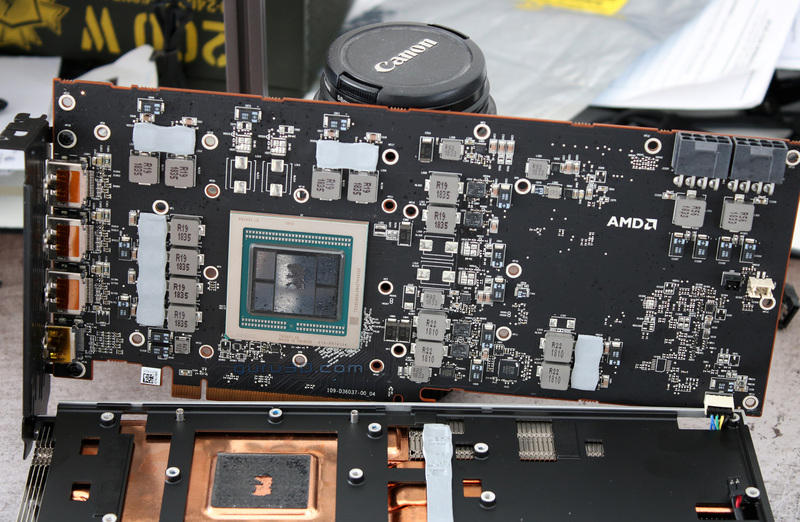 The VEGA20 is padded with a type of thermal compound sticker, it is something I never had seen. Researching this shows it to be a Thermal Conductive Sheet with graphite lining from Hitachi: TC-HM03. Its effective Thermal Conductivity would be 25-45(W/mK), for example, enthusiast thermal paste available is ~8.5 W/(mK)). Interesting to see is how much smaller the GPU die has gotten, now surrounded by four HBM2 4GB packages running 1024-bit each at 1 GHz (variable). The VRM design shows to be a strong one with a bit of complication, the card holds not one but two International Rectifier's IR35217 dual-output multi-phase controllers bringing a 10+2+2 VRM design to the product. 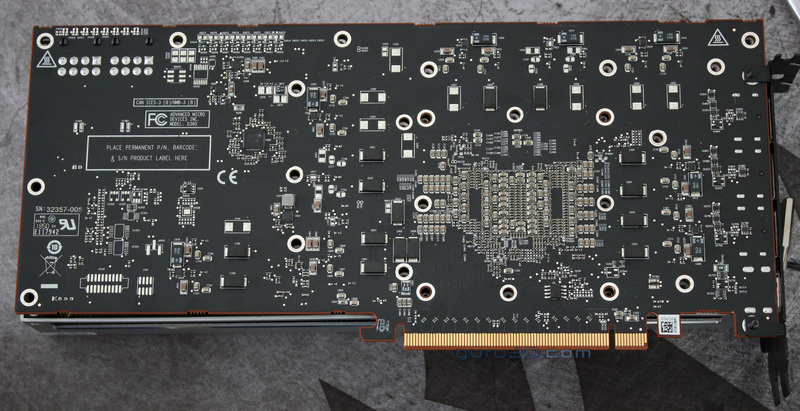 The GPU gets 10-phase, International Rectifier IR35217 controller. The two empty SMT trace solder pads for additional phases could be used for a fully enabled GPU with 4096 shaders/stream processors, well that or say a Radeon Instinct MI60. That second IR35217 is used to control two additional voltages. Info on IR35217 is scarce, but each is capable of providing six phases for the GPU and two others. You'll spot encapsulated ferrite core chokes. The card was dissected after we finished our benchmarks and tests.